Crowdfunding is a rapidly growing industry. In this article, we explore key statistics including the average raise sizes, the impact marketing has on average raise, and the underlying demographics driving crowdfunding. Crowdfunding is a method of raising capital through the collective effort of friends, family, customers, and individual investors. This approach taps into the collective efforts of a large pool of individuals — primarily online via social media and crowdfunding platforms — and leverages their networks for greater reach and exposure. is a rapidly growing industry. Below, we explore key statistics including the average raise sizes, the impact marketing has on average raise, and the underlying demographics driving crowdfunding. What may have seemed like a niche way to raise money at first is now a major force in fundraising. Worldwide, companies and individuals have raised billions via crowdfunding. How Much Has Each Type of Crowdfunding Raised? There are three main types of crowdfunding: reward, donation, and equity crowdfunding. Reward crowdfunding is when people offer money in exchange for a tiered system of rewards. Even though this method offers backers a reward, it’s still generally considered a subset of donation-based crowdfunding since there is no financial or equity return. Donation crowdfunding is when people donate money, with no expectation of reward or equity. 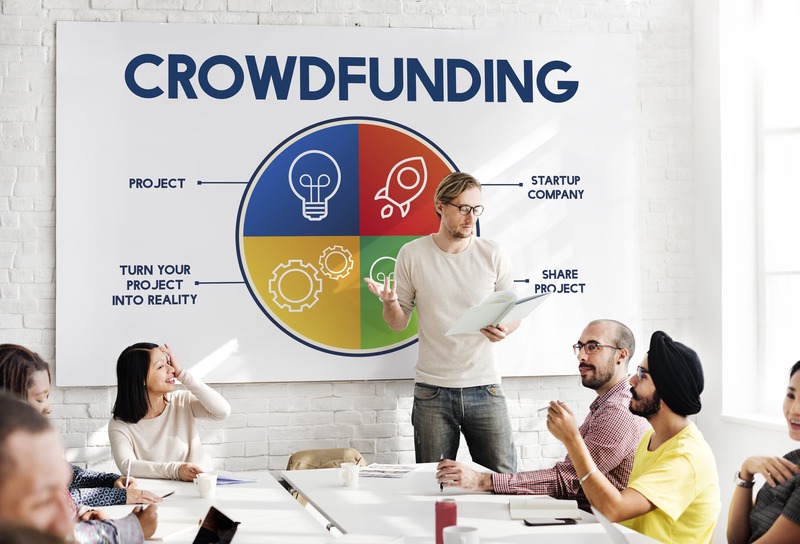 Broadly speaking, it’s correct to think of any crowdfunding campaign in which there is no financial return to the investors or contributors as donation-based crowdfunding. And equity crowdfunding allows contributors to become part-owners of a company by trading capital for equity shares. As equity owners, contributors receive a financial return on their investment and ultimately receive a share of the profits in the form of a dividend or distribution. Crowdfunding is a global phenomenon. Each global region has its own trends in crowdfunding. Here’s how much has been raised per region, from highest to lowest amount. What Does the Average Successful Crowdfunding Campaign Look Like? Fundraisers can learn a lot from successful crowdfunding campaigns! And you might be surprised by some of those things. Here’s a bird’s eye view of a successful crowdfunding campaign. The average successful crowdfunding campaign is around $7,000. On average, it takes 11 days to prepare a successful crowdfunding campaign. The average campaign lasts around 9 weeks. The average crowdfunding campaign donation is $88. Campaigns that can gain 30% of their goal within the first week are more likely to succeed. 42% of funds are raised in the first and last three days of a crowdfunding campaign. And of course, it never hurts to look at the actual formatting and breakdown of successful crowdfunding campaigns. Here are the elements that distinguish the failures from the successes. The average word count for a very successful crowdfunding campaign is 300 to 500 words. Campaign owners raise an average three times more if they update their supporters every five days. Successful campaigns feature an average four updates throughout the campaign. When campaign owners update their supporters, they raise an average 126% more than if they don’t. Campaigns with personal videos raise 105% more than those that don’t have them. Crowdfunding campaigns with teams behind them raise 38% more than solo campaigns. Urgency works! Shorter campaigns tend to do better, with campaign lengths of 20 to 40 days seeming to be the sweet spot. Once a campaign has reached 40%, visitors stay on the campaign page for 31% longer and are 22% more likely to donate. Not every crowdfunding is successful. The good news: Many are! Here’s how many crowdfunding campaigns raise their full amount — and more — by the end of their campaigns. The average success rate of a crowdfunding campaign is 50%. 78% of crowdfunding campaigns exceed their goal. What Markets Raise the Most? Different markets bring in different levels of crowdfunding — and there are some clear standouts. Here’s the percentage of the total crowdfunding market top five markets covers, listed from most to least. A successful crowdfunding campaign depends entirely on the fundraiser’s ability to get the word out. Check out these statistics on the importance of marketing when you’re crowdfunding. A day-to-day marketing campaign translates to three times the amount raised. Social Media is a critical factor in crowdfunding success: for every order of magnitude increase in Facebook friends (10, 100, 1000), the probability of success increases drastically (from 9%-, 20%, to 40%). 12% of Facebook shares convert to donations. 3% of Twitter shares convert to donations. 53% of email shares convert to donations. Device. 15.17% of crowdfunding donations are made on mobile devices. Remember, crowdfunding campaigns aren’t (just) a fast track to capital or product validation. A successful crowdfunding campaign is a marketing project, just like any other marketing project your company might undertake. It takes strategy, planning, and, above all, effort to make it a success. Read more on the anatomy of the most successful crowdfunding campaigns.